When affixing the CE Mark and placing a product on the market you will want peace of mind that it is not going be responsible for any injury and/or subsequent law suits. This is where a risk assessment can be beneficial by identifying potential hazards associated with the use of the product. With products falling under some Directives, such as the Machinery Directive, it is a mandatory part of the CE marking process. However with other Directives such as the Low Voltage (LV) Directive for electrical products it is not a mandatory requirement. Most people have heard of the urban legend concerning the old lady microwaving her dog in an attempt to dry it. Whilst the legitimacy of this tale may be questionable, it is a good example of how a risk assessment could be used to demonstrate that all types of potential hazards have been considered and mitigated (even the ones that are extreme cases of misuse!). 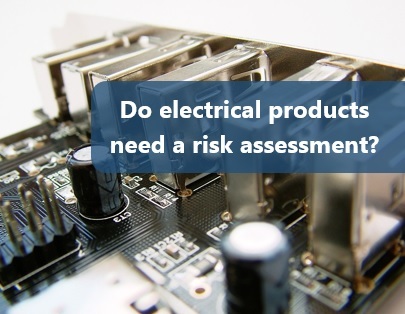 The common approach for CE Marking electrical equipment is to apply a standard that will identify the more generic and obvious hazards associated with a product, but a risk assessment should help to identify the less obvious ones (that may not be within the product standard). 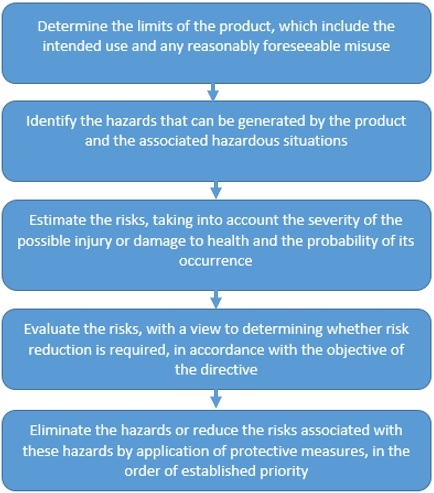 By using a risk assessment method, potential hazards can be easily identified and mitigated to limit hazardous occurrences and keep users safe during the expected usage and lifespan of the product. And if you were wondering about microwave ovens, if you read the instructions I am sure that you will find a statement along the lines of ‘Only heat food products’ in there somewhere. If you need further help with undertaking a CE Marking Risk Assessment for your electrical product or machine, then please call the technical team on 01527 595066. "... the best training venue I have ever been in, and I've been doing this for over 20 years!"